Don't forget to include a pair of brake bleeder bottles with stainless lanyard to hold the excess fluid. Enter promo code BRAKE10 during checkout for your discount. 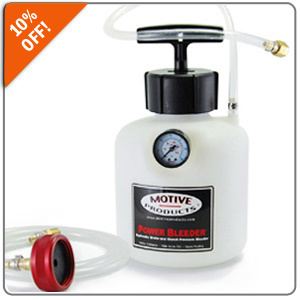 10% OFF Speed Bleeder Check Valves! Make your next brake bleeding project a one-person job and an absolute breeze with Speed Bleeder check valves! 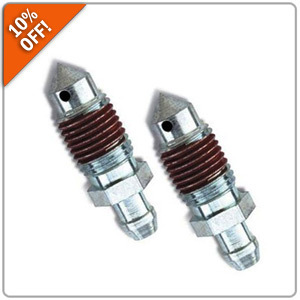 The Speed Bleeder valves replace your brake caliper's stock valves and eliminate the chance of air entering the system. A must for the do-it-yourselfer! Enter promo code BRAKE10 during checkout for your discount. Click HERE for Speed Bleeder Check Valves!